Dos and Don’ts Of Machinery Safety. Check the machine is well maintained and fit to be used, ie appropriate for the job, working properly and all the safety measures are in place. Use the machine properly and in accordance with the manufacturer’s instructions. Make sure employees are wearing the appropriate protective clothing and equipment required for that machine, such as safety glasses, hearing protection and safety shoes. Ensure that those who use machinery are competent to use it safely and provide training where necessary. For some machinery a formal qualification is needed. Use a machine or appliance that has a danger sign or isolation tag attached to it. Danger signs should only be removed by an authorised person who is satisfied that the machine or process is now safe. Remove any safeguards, even if their presence seems to make the job more difficult. Wear dangling chains, loose clothing, rings or have loose long hair that could get caught up in moving parts. Distract people who are using machines. The Importance Of Workplace Maintenance. 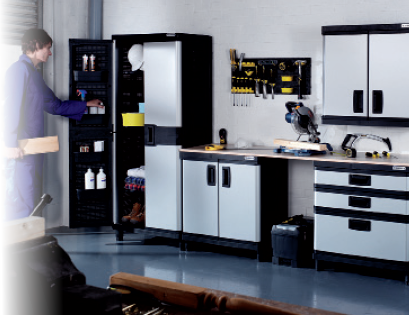 Regular maintenance is an essential aspect in any workplace in order to keep equipment, machinery and the work environment safe, reliable and looking good. Under the Provision and Use of Work Equipment Regulations 1998 (PUWER), employers have to ensure that work equipment is suitable for the intended use; safe for use, maintained in a safe condition and inspected to ensure it is correctly installed and does not subsequently deteriorate; and used only by people who have received adequate information, instruction and training. Employers need to ensure that employees have the skills required to carry out the work in a safe and efficient manner and that they know what to do if the task exceeds their capabilities or if problems arise. This is also important when work is carried out by subcontractors. Before using any tools or equipment you should make sure they are suitable for the job and that employees know how to operate them. For more technical equipment, instruction manuals should be filed in a safe place so they can be referred to quickly and easily. Instructions should state how to assemble, install, use, adjust and maintain equipment as well as giving details on protective measures to take, such as whether personal protective equipment is required and warning about instances where the equipment isn’t suitable. Tools, machinery and equipment should also be regularly checked to ensure it’s in good working order and it’s worth remembering that certain equipment may have to be regularly examined or serviced by a qualified engineer. It’s often worth keeping records about these inspections or services, which helps to ensure that checks take place regularly and that any defects or problems are put right. To work remotely in bad weather. Recent statistics show that maintenance activity was linked to 25 to 30 per cent of Great British manufacturing industry deaths – highlighting the necessity to take precautions when undertaking maintenance activity work. Asbestos – If you disturb asbestos while you are drilling into buildings, the consequences to your health can be dire, not to mention the expensive cleaning costs. Height – Undertaking maintenance work often means you’ll require the use of a ladder to access gutters and roofs. Take extra care while working to avoid falling from a great height or dropping items onto workers below. Heavy objects – Take steps to ensure that heavy objects do not fall while you are carrying out maintenance work. Where possible, use fork lift trucks and cranes to move heavy loads. Work permits – It may be necessary to have permits to work and isolation arrangements in place to allow for safe conduct of maintenance work. Guidelines On The Use And Maintenance Of Workplace Equipment. Those responsible must select and install equipment properly, use it carefully and make sure it is maintained to protect the health and safety of yourself, employees and others who may be affected by the way you use it. Sensible risk assessment is the key, following manufacturer’s recommendations for use and maintenance, and ensuring employees are trained and competent. This includes taking reasonable steps to ensure new work equipment complies with the relevant European requirements for safe design and construction. You must not use, or permit the use of unsafe work equipment. The Lifting Operations and Lifting Equipment Regulations 1998 (LOLER). The risks from riding on and controlling mobile work equipment. Protection from falling objects and from rolling over. Restraint systems (seat belts, etc). Inspection / thorough examination of power presses.